Check out some behind-the-scenes shots from the set of The Trouble With Mistletoe. 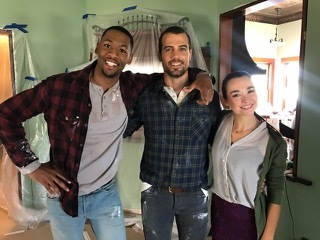 The actors playing Mason, Keane and Sass, relaxing on set between scenes. 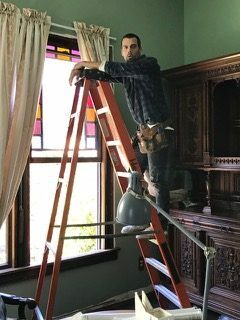 Actor Thomas Beaudoin, as Keane, in the renovation scene.